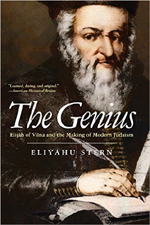 Elijah ben Solomon, the "Genius of Vilna", was perhaps the best-known and most understudied figure in modern Jewish history. In this book Eliyahu Stern offers a new narrative of Jewish modernity based on Elijah's life and influence. While the experience of Jews in modernity has often been described as a process of Western European secularization - with Jews becoming citizens of Western nation-states, congregants of reformed synagogues, and assimilated members of society - Stern uses Elijah's story to highlight a different theory of modernization for European life. Religious movements such as Hasidism and anti-secular institutions such as the yeshiva emerged from the same democratization of knowledge and privatization of religion that gave rise to secular and universal movements and institutions. Claimed by traditionalists, enlighteners, Zionists, and the Orthodox, Elijah's genius and its afterlife capture an all-embracing interpretation of the modern Jewish experience. Through the story of the "Vilna Gaon", Stern presents a new model for understanding modern Jewish history and more generally the place of traditionalism and religious radicalism in modern Western life and thought.